The story takes place in the cyberpunk metropolis of Neo Saitama. After his wife and child are killed in a ninja turf war, salaryman Kenji Fujikido gets possessed by a mysterious ninja soul known as Naraku Ninja. As Naraku’s craving for massacring the evil ninja overlaps with Fujikido’s lust for revenge, together they bring Ninja Slayer a terrifying ninja-killing grim reaper – into existence. 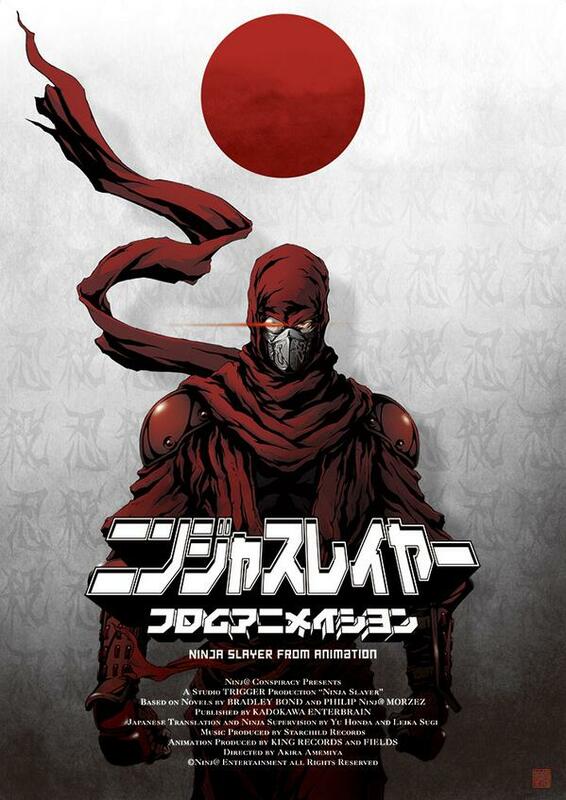 The more their mental resonance and physical symbiosis deepens, the more powerful Ninja Slayer becomes. If Fujikido completely surrenders himself to Naraku, he will be unstoppable.